Thank you for your interest in the Catholic Adoption Services of Washington State, a program of Catholic Community Services of Western Washington. 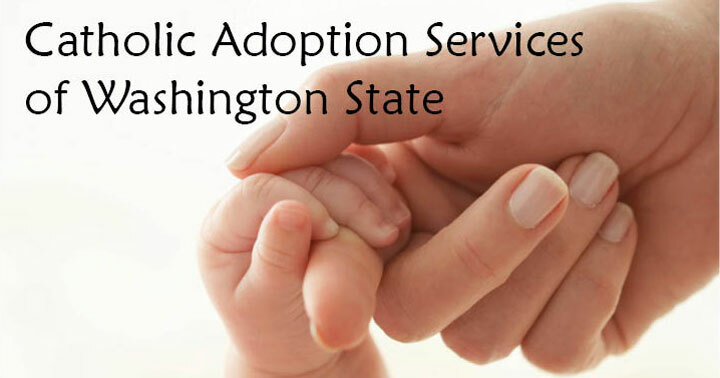 Catholic Adoption Services of Washington State provides adoption planning for birth mothers and adoptive placement services throughout Washington State. We have been providing these services since 1937. We will make our services convenient for you. We will meet in your home in your community or in our offices. Our long history of quality professional services and our strong reputation attracts birth parents and adoptive couples of broad diversity. We provide services to all who request them, without regard to color, gender, race, ethnicity, religious preference, or ultimate plan for her child. Services are provided at no cost to the pregnant woman. If you are pregnant or recently delivered and want to explore adoptive placement for your child, click here for more information. If you are a health care or social service professional exploring resources for a pregnant client, click here for more information. If you are a parent of a young woman who is experiencing an unintended pregnancy, please click here for more information. If you are a couple looking to adopt a child, click here for information. If you are an adult adoptee or if you prepared an adoptive plan for your baby through Catholic Community Services, click here for information on our post-adoption services.